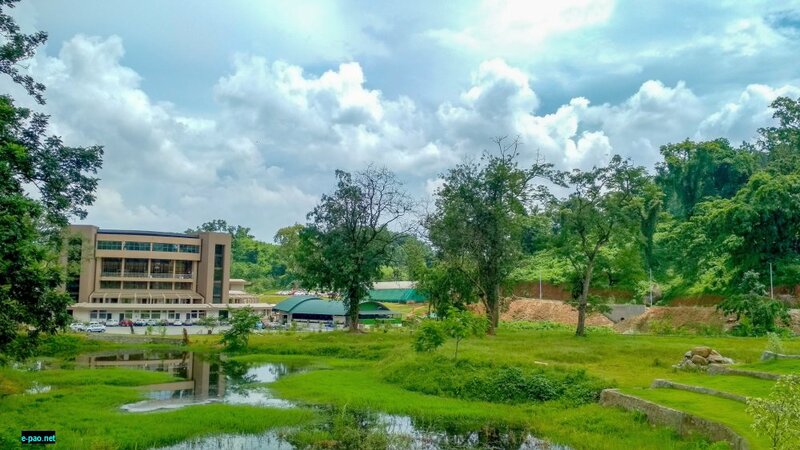 Setting a new trend in institutes of higher education in India, Northeast’s research and innovation driven university, Assam Don Bosco University has installed hundreds of solar panels on the rooftops of its buildings in its sprawling campuses located in Azara and Tapesia, Guwahati to harvest solar energy. This project which is already commissioned generates 160 kw of solar power at Azara campus and 160 kw at Tapesia Gardens. This project will provide clean green energy without polluting the environment and ecosystem. Further, the energy produced is directly fed to the national grid without having to store this energy in lead-acid batteries, which is expensive to maintain and disposal of the spent batteries will again pose a threat to the environment. The University has further taken steps to set up a bigger solar farm using the slopes of the hills for placing the solar panels. “As sufficient land is available, it is estimated that at least 2 MW of electric power can be generated, which can be scaled it up to 5 MW eventually. As planned, the electricity produced will be fed to the national electric power grid. In addition, due to the availability of natural streams coursing through the campus area and development of reservoirs and canals for water conservation, the installation of a facility for generating micro hydroelectric power up to 15 KW is under way,” says Administrative and Development Officer, Dr. Peter Paul Hauhnar. This clean energy initiative towards sustainable and renewable energy and its commitment towards UN’s Sustainable Development Goals (SDG) has already been acknowledged globally recently. The University has been appointed as the Cluster Leader Globally in SDG 7 (Affordable and Clean Energy) by International Association of Universities. Sustainable energy is one of 17 Global Goals that make up the 2030 UN’s Agenda for Sustainable Development.